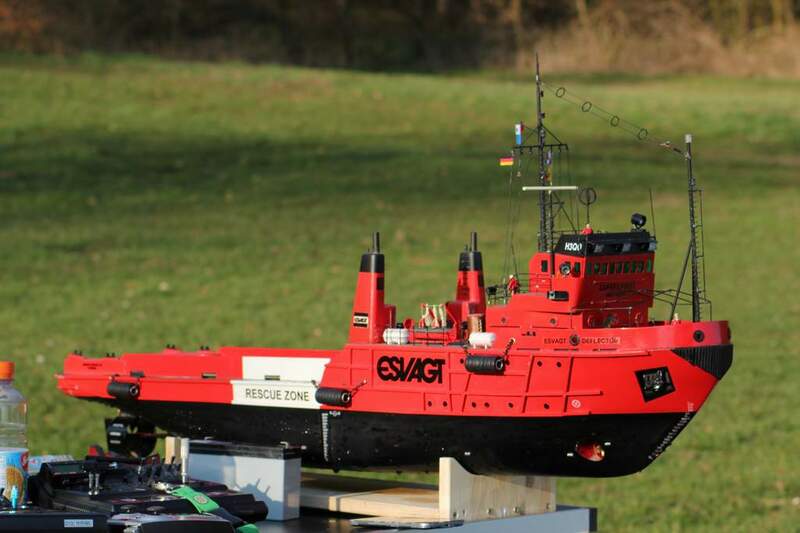 Is de vessel in Esvagt colors probaly in fact a also an OSA supplier like the another ?. One another point; containers on board a supplyboat will never being stacked. It makes it impossible to pick them up by offshore cranes !. Anyway, happy modelling season !. many thanx for your kind words. Yes, ESVAGT DEFLECTOR was the former OSA Supplier WASSERTOR. My colleague Chris organisized this one for me in 2013. He bought it for only 60€. Thanx for the info about the stacked containers. I think, your right. I'll replace them . 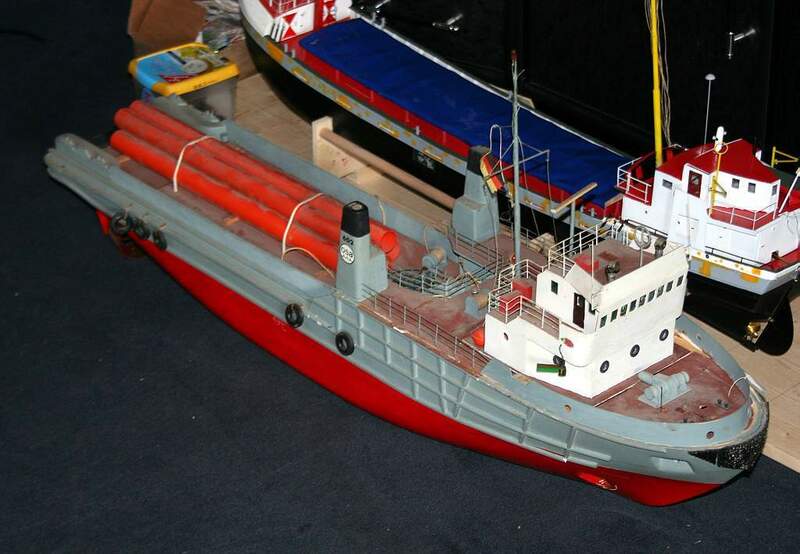 The other vessel is the OSA supplier HOLSTENTOR, which was built in the scale of 1/50, too. 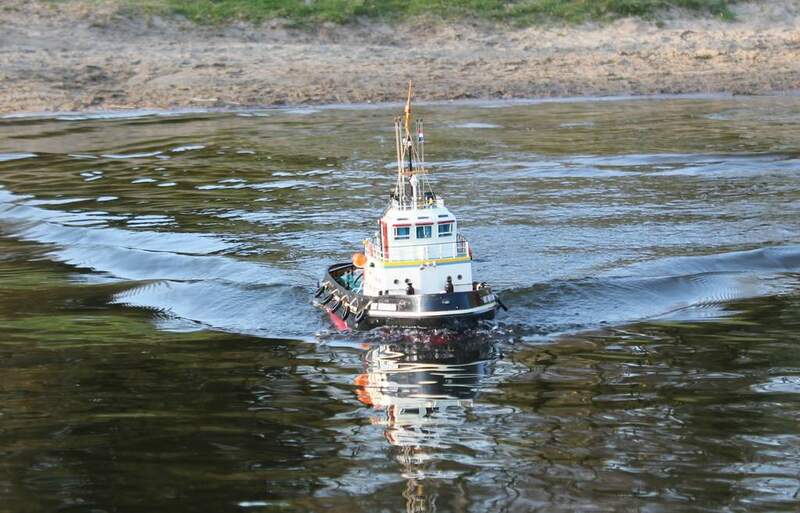 The gear of the vessel is rc-controlled! It's owned by my colleague Dennis. 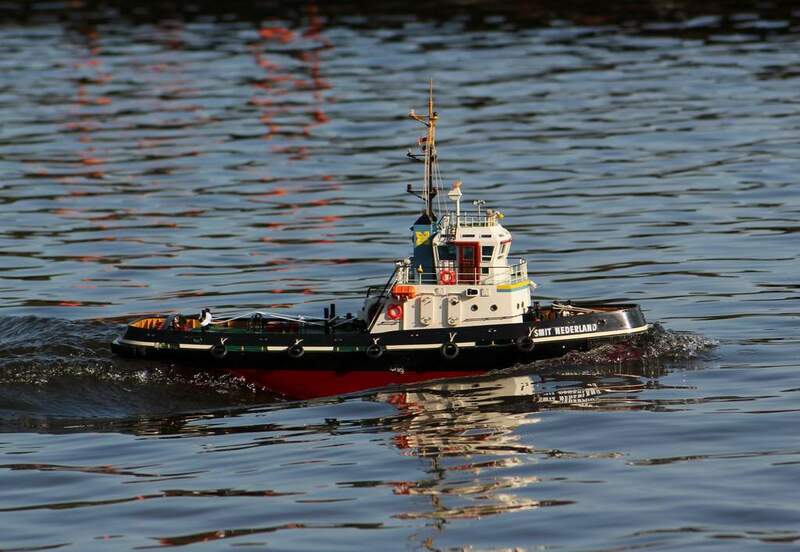 The third vessel we checked yesterday, was the tug SMIT NEDERLAND of my colleague Dirk. 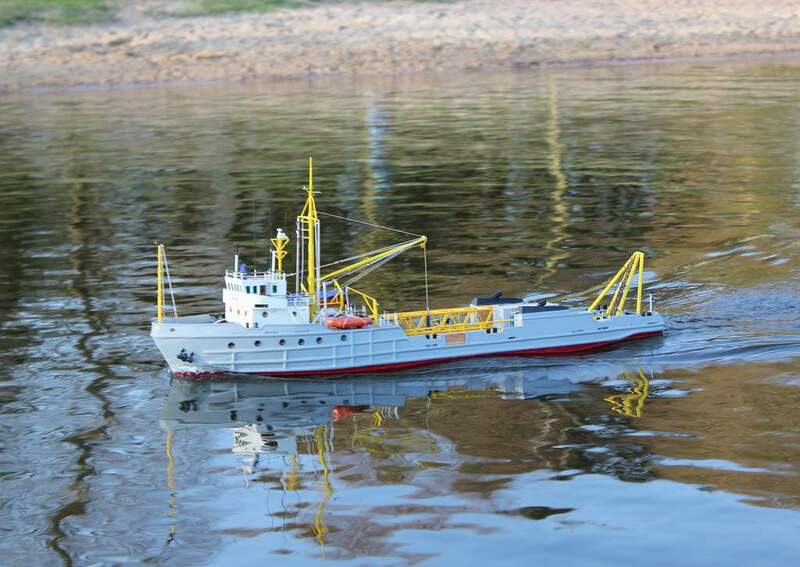 A nice and compact model, which based of the famous kit of billing boats. For me it was easy to recognize the model as "Wassertor" Arne !. For 37 years ago I use to work together with this supplier on board "Smit Lloyd 21". Our base was Douala in Cameroun. We dit have differend charters, so I never met de "Wassertor" at sea but only in Port du Peche in Douala. Preparing my fleet for a new season I picked up the idea to build a radar for my Bugsier 3. On the last barge I sailed on, we had a Decca radar from the mid fifties. No drawings available, I had to work from some pictures and memory. I know it's not esthetically correct putting a British radar on a German tug, but in my view the Decca scanner looks better than a straight bar. Up to you to decide! Regards, Klaas. 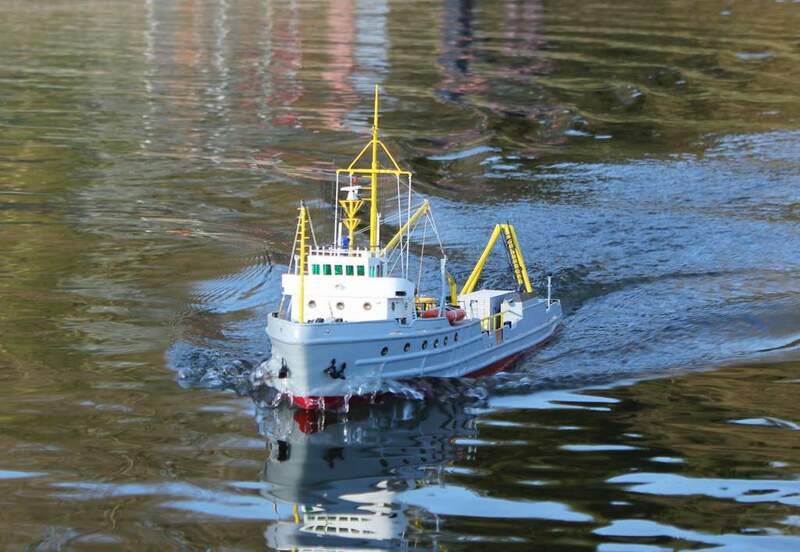 Gistermiddag is mijn 42 jaar oude sleepboot naar de werf geweest om het verfwerk wat op te laten halen. De pas toegevoegde radarmast in het Havana-bruin gezet. 's Avonds nog een rondje gevaren. 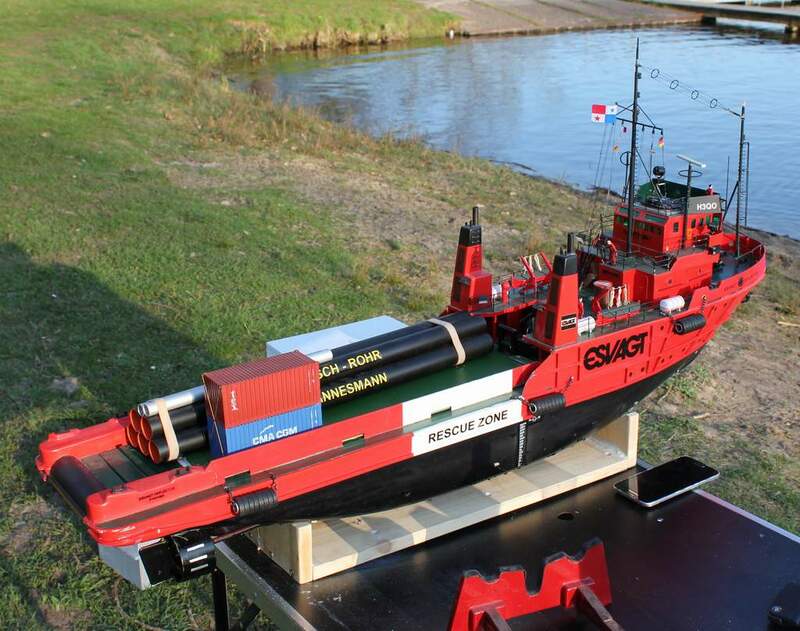 Als kind van een jaar of tien zag ik deze boten voor het eerst op de Schelde bij Antwerpen. Firma Letzer en Gerling hebben er jaren mee gevaren. Vind het nog steeds karaktervolle schepen. Zal ook wel een beetje aan mijn leeftijd liggen. Gr. Klaas.